These aren’t your dad’s flip flops. 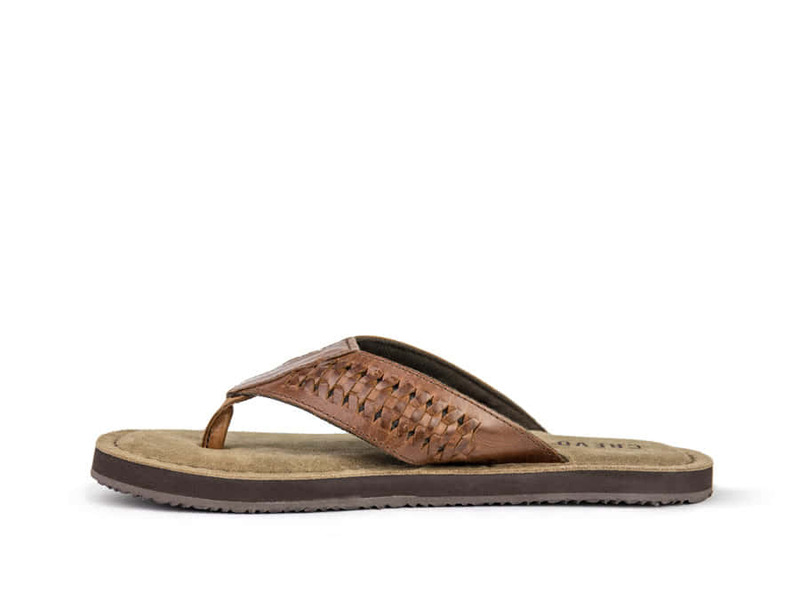 Made of genuine leather, the elaborate braiding makes the Ronan a statement flip flop that elevates your summer sandal game. 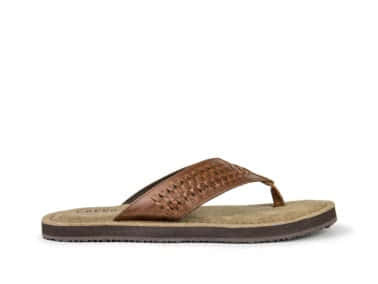 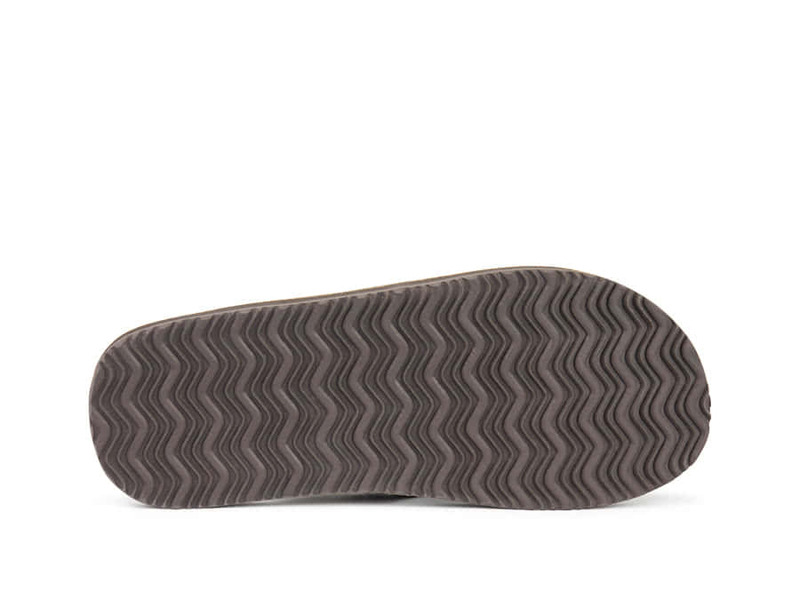 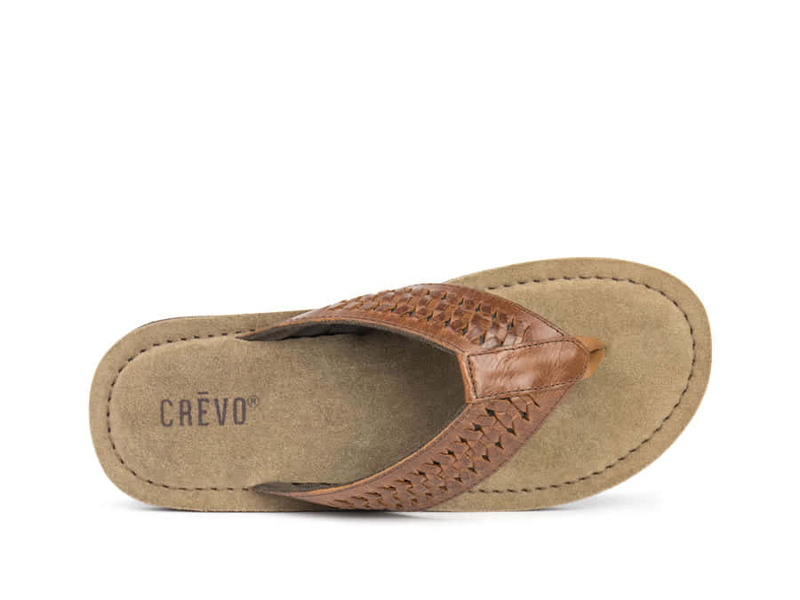 With memory foam cushioning and genuine suede footbed, they will be the most comfortable sandals you own.